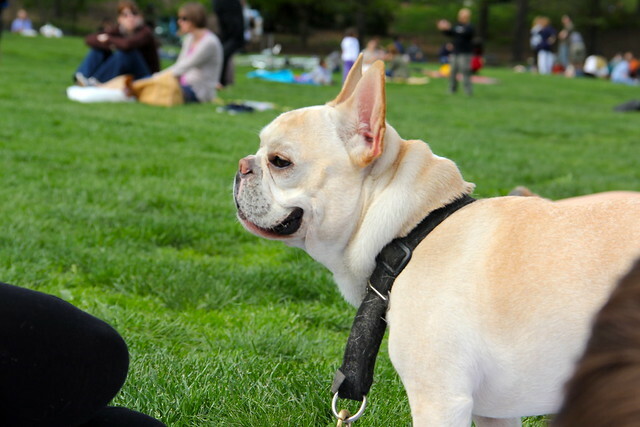 Can I Take My Dog To An Outdoor Family Reunion? Pet owners should not just assume that since they have been invited to an outdoor family reunion that it is okay to let the family dog accompany them. There are many factors that will determine if it is okay or not, so pet owners should check into several things before they just show up and let Fido hop out of the car. If the reunion is being held at a city or state owned park the pet owner should find out if dogs are allowed in the picnic areas. Even if the owner has taken the dog there frequently and knows it is allowed, that doesn’t necessarily mean it is okay for a family gathering. Talking to the person who is organizing the event is the best thing to do, especially if it is being held in their backyard. They may not want dogs on their property for a variety of reasons. Politely ask if the dog can accompany you, and if they say no, graciously accept that without argument. Don’t refuse to attend the reunion just because your dog can’t go. Just because you are an animal lover, doesn’t mean everyone is. If the reunion is being held in a park area that allows dogs, the next step is to find out as much as you can about distant relatives that may be attending. Is anyone else planning to bring a dog? Being the only one to bring their dog is much like being the only person to bring a child to a gathering. The child will quickly become bored and fidgety. The dog will also be bored as you catch up with relatives and pay very little attention to his needs. Is the dog sociable around people he doesn’t know? Remember that there may be relatives showing up that you haven’t seen in a long time, if ever. Will the crowd of strangers make your dog nervous? Is the dog well behaved? Unruly children that annoy everyone will ruin a social gathering and so will an unruly dog that wants to jump on everyone. Also consider that some people may be allergic to dogs or afraid of them. It’s quite possible that your second cousin’s daughter’s son might be afraid of dogs due to a past traumatic experience. He, nor his mother or grandmother will enjoy the reunion if the child is uncomfortable because your dog is there. If most of the family members plan to bring their dogs, or if the person hosting the event has dogs and tells you it is okay to bring yours, then by all means, take your dog with you. Make sure your dog will be welcome before just showing up. If he is not welcome, leave him at home and shorten your stay if necessary, but do attend the reunion. You may never get the chance to see some of these people again, and your dog will be waiting for you when you get home. About the author: Lisa Mason is a dog owner and writer for Doggie Clothesline. She loves helping others by writing about dog topics on a regular basis. Some people have a hard time believing that depression happens with humans; much less that it can affect our canine companions. According to animal experts, like Bonnie Deaver, DVM, who is an executive director at the American College of Veterinarian Behaviorists, it certainly does happen. The important thing is to make sure you don’t confuse your dog’s action with him just having a bad day, or picking up on your own down mood. If you are just having a down day and are suffering from the blahs, the dog can and sometimes mimic your mood. True depression in a dog will be triggered by something that has happened in their life. Dogs can show signs of depression when you move to a new house. Everything is strange to them and they aren’t sure if it is home, or if they are just visiting. You can combat moving depression by making sure you bring the dogs favorite toys and feeding dishes as soon as you bring the dog to the new home. Before you get busy unpacking and arranging things, spend a little time with the dog. Put his or her dishes down where they will be fed from now on and fill them with fresh water and the dog’s favorite food. Don’t worry if she doesn’t dig right in, she may be nervous in a new place. The dog will know that their food is available. Spend a little time playing and having fun with your dog. Let him know that this is a happy place. If the dog begins to show signs of depression, such as hiding, refusing to eat or play, you will have to be patient and continue to coax him gently. Take her for car rides or walks and then return to the house so that he gets the idea of this being home. 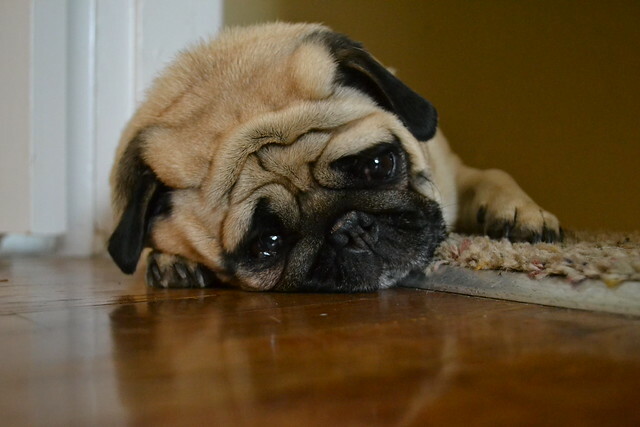 Dogs may also get depressed if someone that has lived in the house moves away. This is especially true if this person interacted with the dog a lot. If you have had house guests for an extended period of time, the dog will get accustomed to them and actually miss them when they leave. This is especially true if there were small children that played with the dog daily. Be patient and offer extra playtime or extra-long walks so that the dog doesn’t feel so lonely. Watch the dog carefully, as he may be suffering from true doggie depression, or he may just be picking up on how you are feeling if you are miss someone that has recently left home. Also, make sure the dog isn’t refusing to eat or play due to other medical reasons. If he appears to be in pain, or is having diarrhea, vomiting or sneezing, he may physically hurt or be ill and should see a vet. If the signs of depression get worse or last a long time, especially if she is refusing to eat, you should also contact the vet for an evaluation. If you had a multiple dog household and one of them dies, or leaves the house, your dog will grieve just like you would grieve at the loss of a family member. You’ll need to be patient and show lots of love and compassion. If you are not sure if your dog is suffering from depression, the blahs or an underlying illness, your vet can help you figure it out. They may suggest things you can do to help your dog, or in worse cases, the vet may prescribe medication, if he determines it is true depression. The medication for doggie depression is actually the same thing humans take for depression, only in much smaller doses. Lisa Mason is a dog owner and writer for Doggie Clothesline, an online dog clothing boutique that features dog accessories and custom dog gifts, as well. Click on us to help raise funds for homeless pets. Every purchase counts!